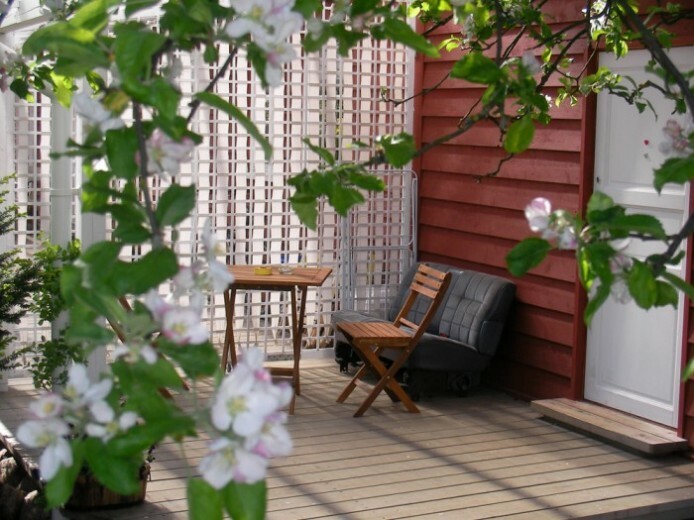 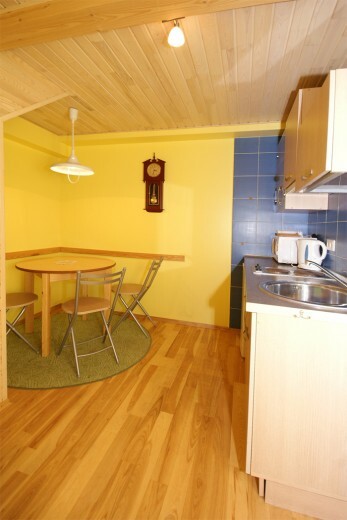 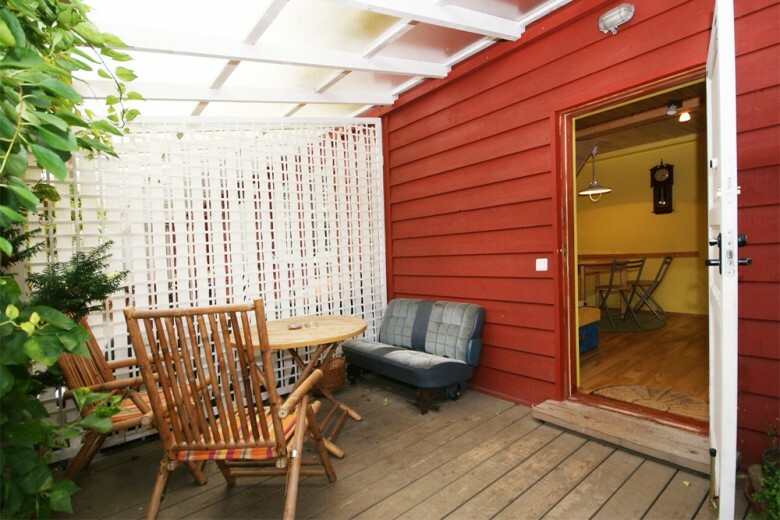 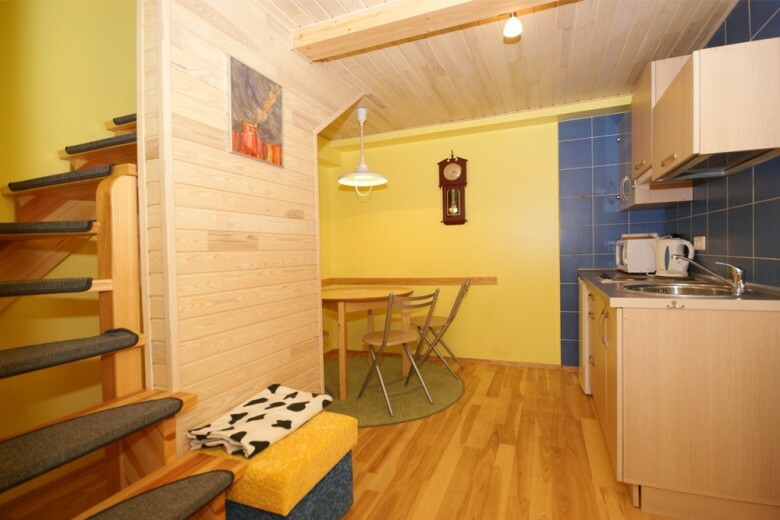 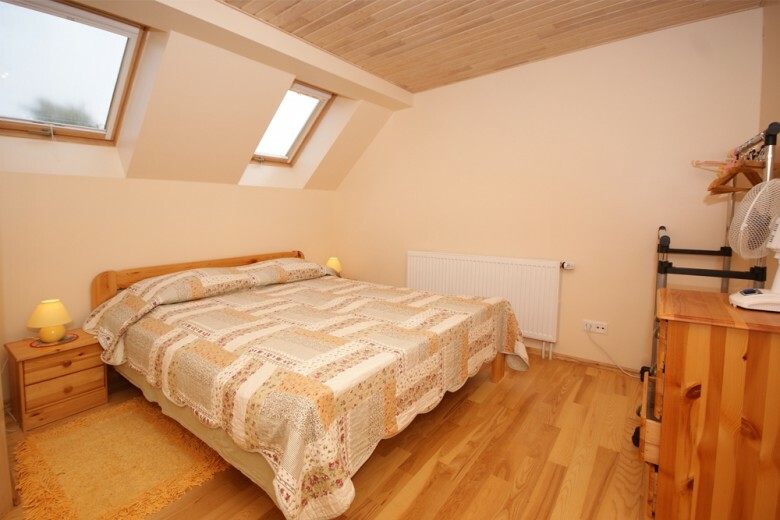 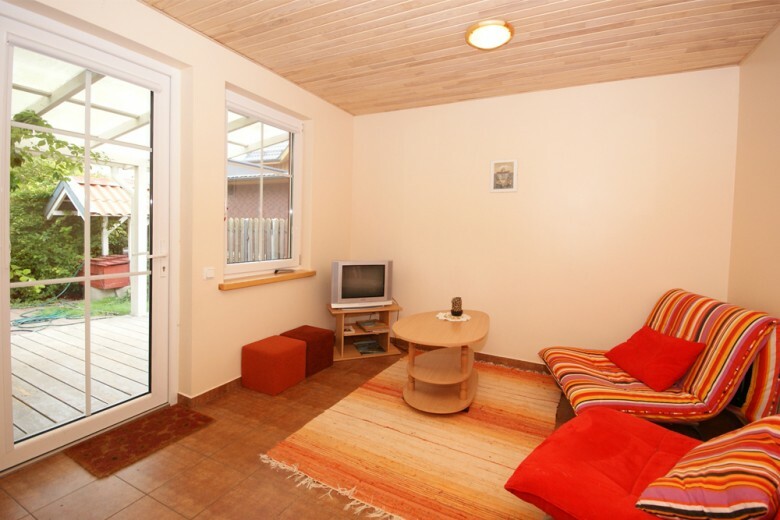 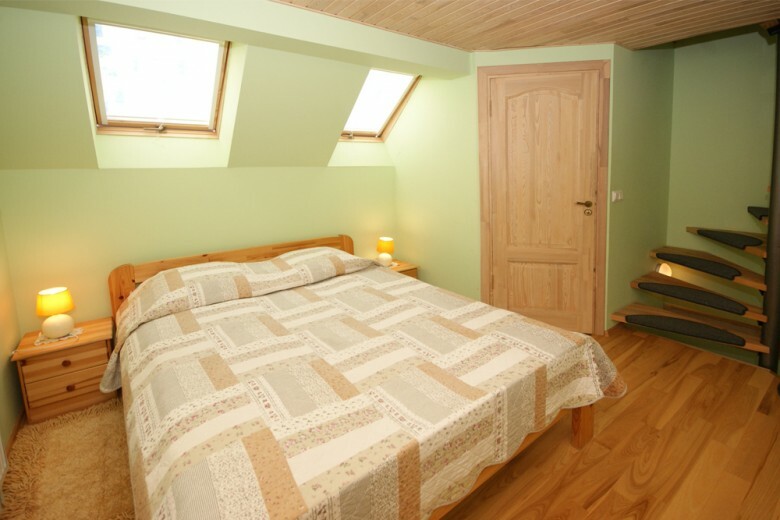 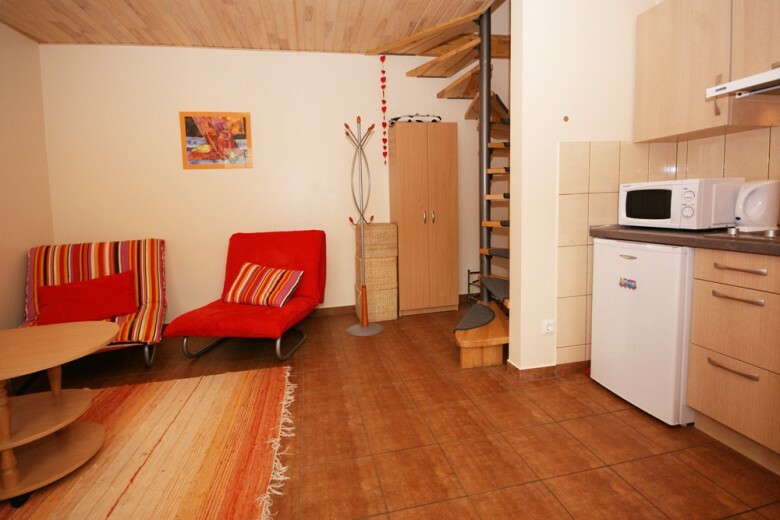 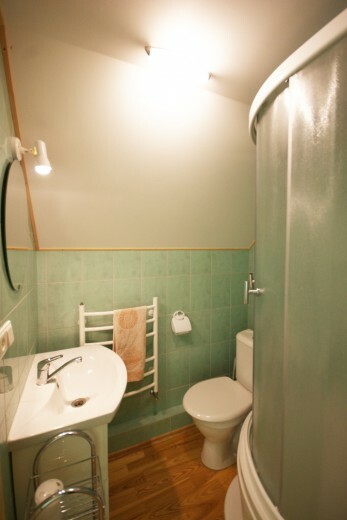 Apartments in the homestead "OBELYNĖ"
The apartments are heated in the cold season of year. 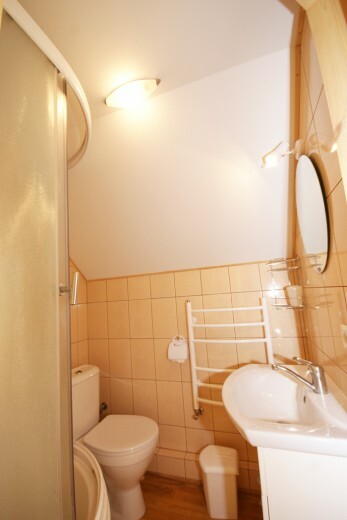 Double apartments with extra beds contain: a cosy living-room with kitchenette on the ground floor with TV. 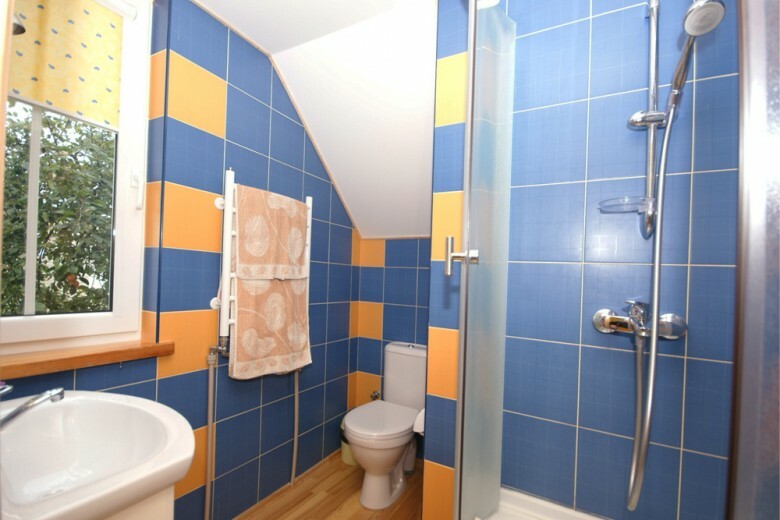 On the first floor - bedroom with double bed, WC and shower. 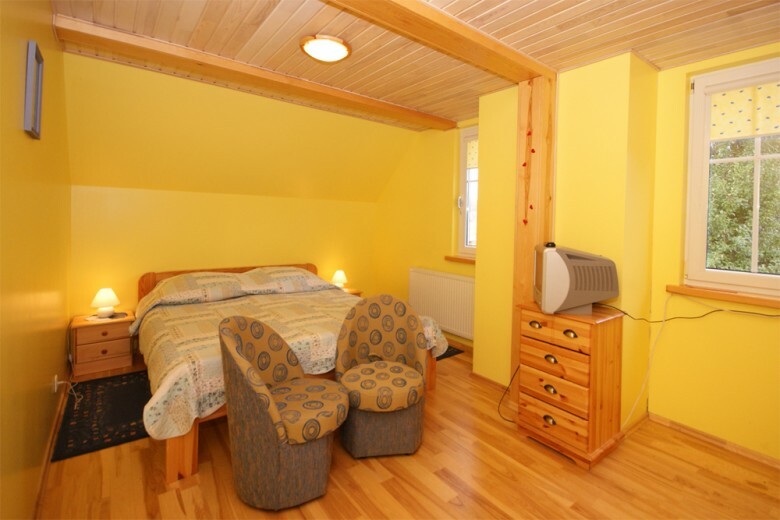 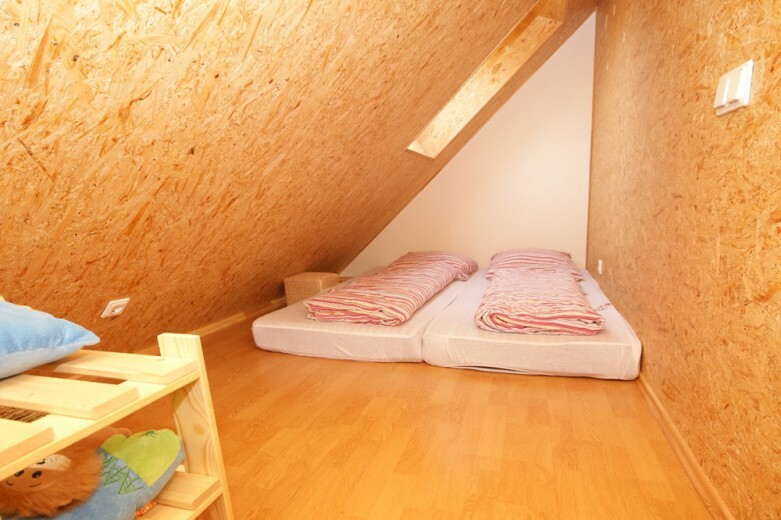 On the second floor of the apartment there is a perfect mansard for children to sleep. 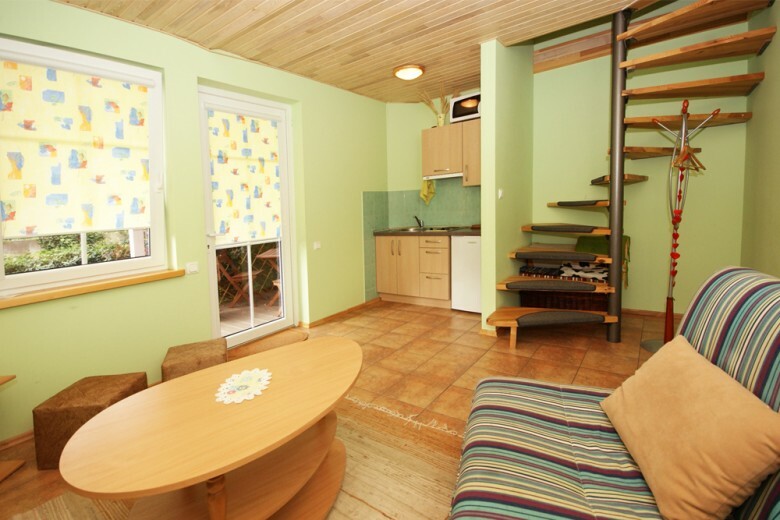 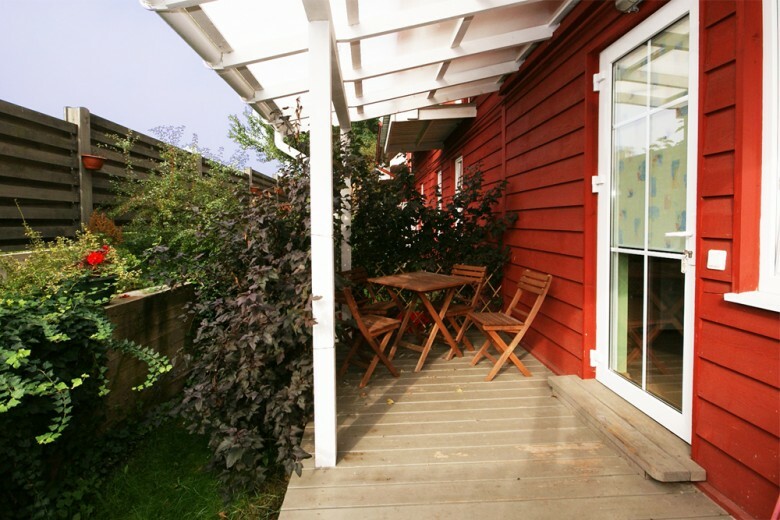 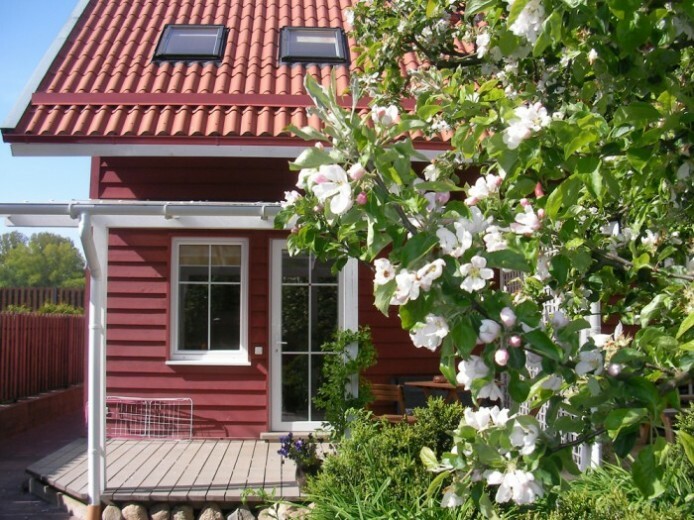 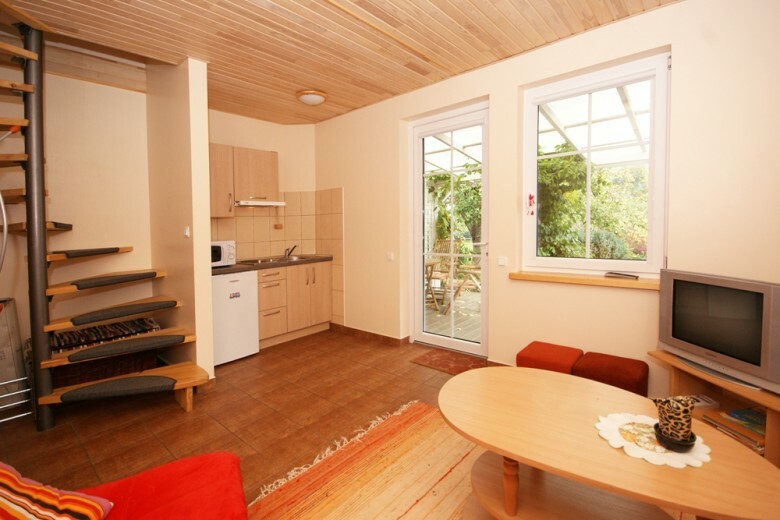 The familiy apartments are most suitable for families of 4 persons to stay in (2 adults and 2 children). 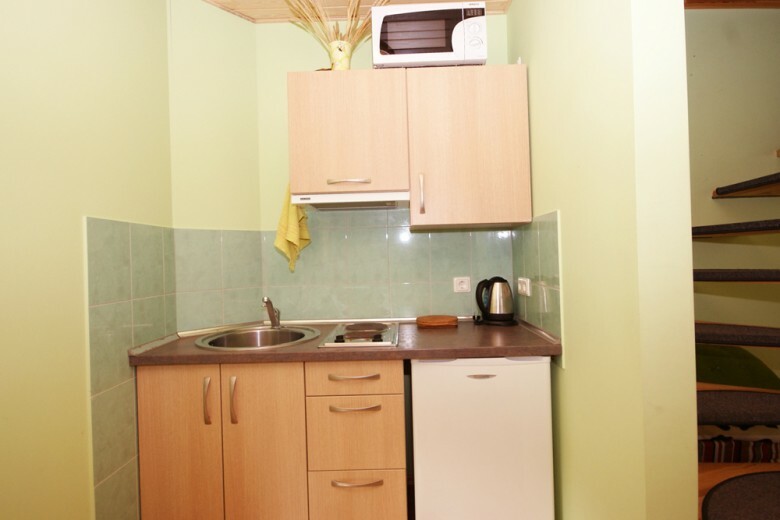 Double apartment contains a kitchenette and a table for meal on the ground floor, a bedroom with a double bed, WC and shower, TV on the first floor of the apartment. 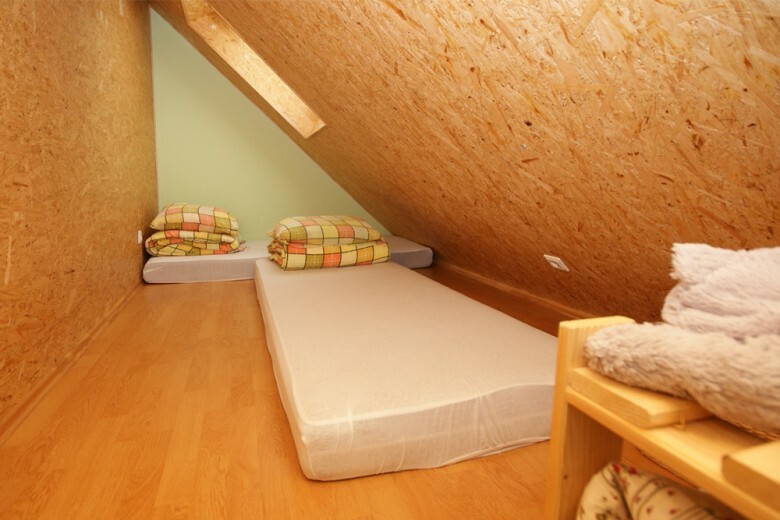 You can get a baby’s cot if needed. Low season: 30-40 EUR per night.